Material: 90%Polyester+10%Spandex. 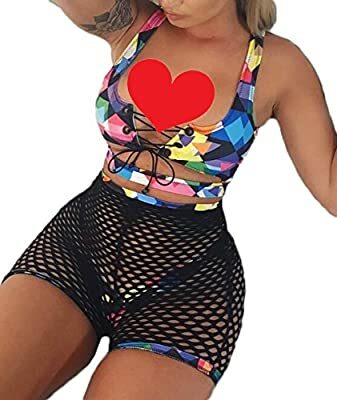 Style: 3Pcs (Bra+Bottoms+Fishnet Shorts). Feature: front lace up, push-up padded, front cut out, geometric pattern. Occasion:Beachwear,Swimming Pool,Surfing ,Photographs and other water activities. 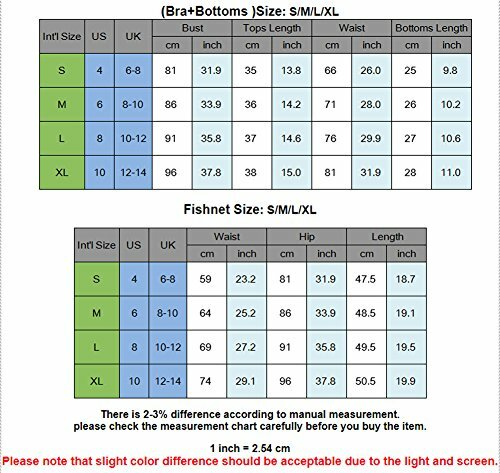 Please check our size chart to compare your measurements before you order it.